Panel heaters provide an energy saving, electrically powered alternative that can save money on your bills. This heater has already been a major success in Europe, USA, Australia and South Africa and this unique product is now available in the UK. 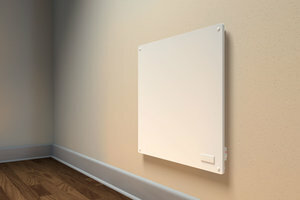 One of the slimmest panel radiators on the market. Highly accurate electronic thermostat within 0.5°C.